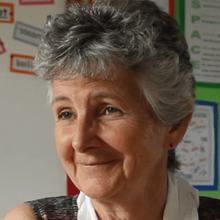 Giving Marking and Assessment a Voice. 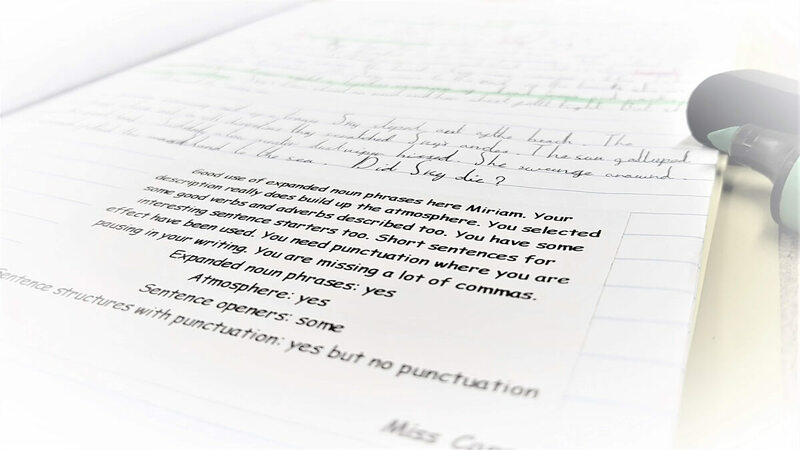 Drastically reduce the time it takes to mark students’ work. On average, users are able to mark a class set of books in around 30 minutes. Collect detailed assessment data, every time you mark work. Using our grade creator, teachers can track progress instantly. Mark Mate utilises the latest in speech recognition technology. Control everything with your voice, leaving your hands free to mark. Mark Mate’s creator, James Holmes, featured in episode 7 of season 16 of Dragons’ Den and was able to quickly demonstrate the amazing time saving abilities that Mark Mate has to offer. Watch How Mark Mate Can Help You! Reduce Your Workload and Improve Quality? Every time you use Mark Mate, to mark students’ work with your voice, you populate your online markbook. Not only are your students’ grades recorded, but also their feedback. Taking your formative assessment to the next level! We are so confident you will see the benefit in Mark Mate, we give you 30 days to try it, if you are not happy we will refund the cost of the printer and arrange for return delivery. You are free to cancel your membership at any time, no hidden contracts! Register for your Mark Mate account and we will have your printer dispatched within 3-5 working days. Sign up takes a matter of seconds and you will instantly be able to access Mark Mate. Create as many classes, within Mark Mate, as needed to make sure it fits in with you. Use our grade creator to allow you to tailor your assessment criteria to your school’s policies. Activate your microphone and away you go. 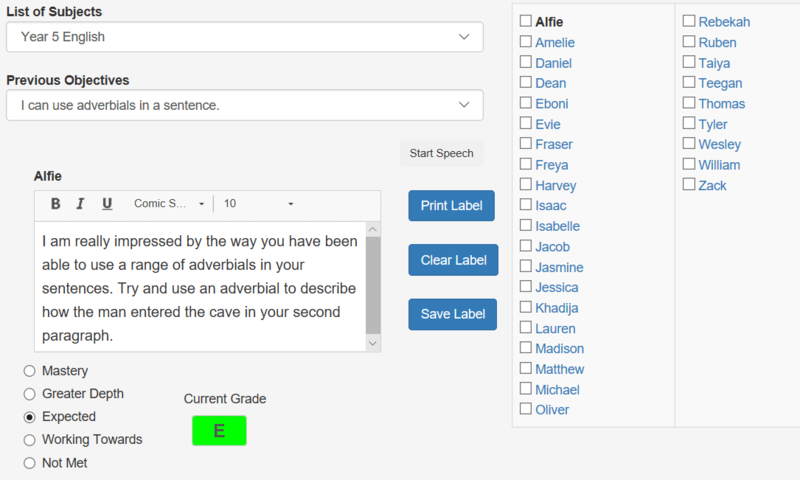 Control everything on the marking window, and leave detailed feedback instantly with your voice.